2. 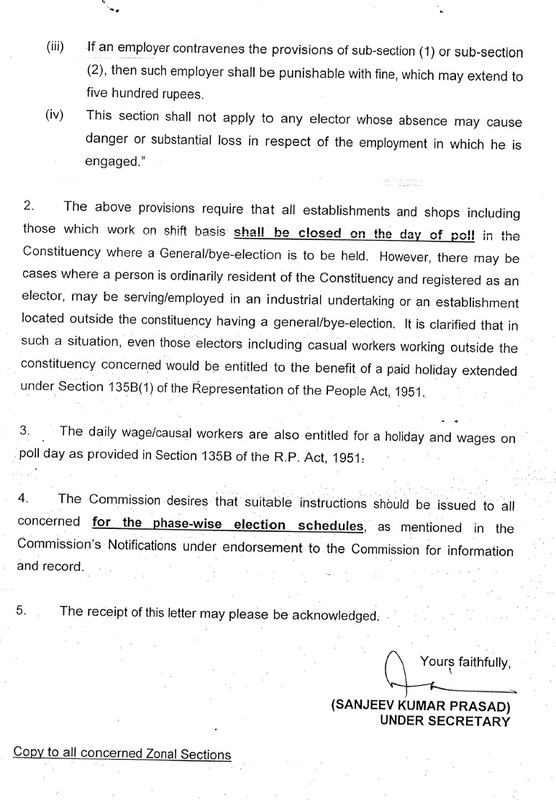 The above provisions require that all establishments and shops including those which work on shift basis shall be closed on the day of poll in the Constituency where a General/bye-election is to be held. However, there may be cases where a person is ordinarily resident of the Constituency and registered as an elector, may be serving/employed in an industrial undertaking or an establishment located outside the constituency having a general/bye-election. 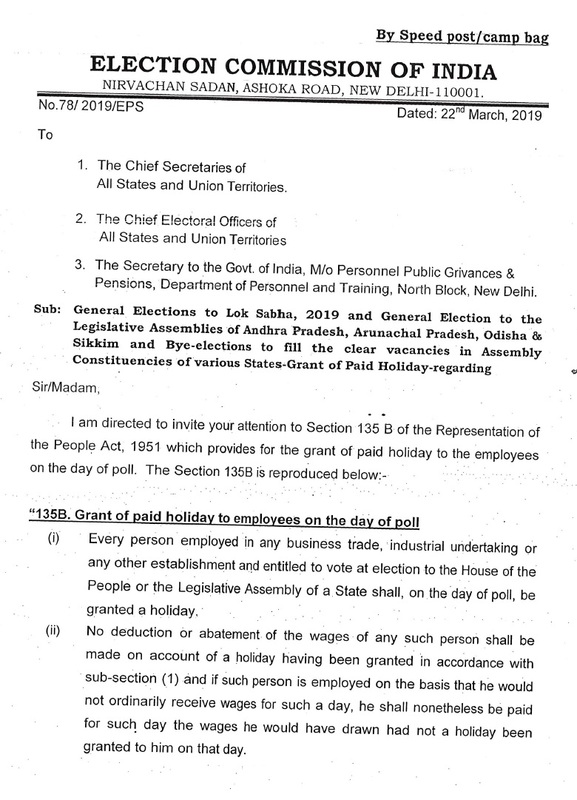 It is clarified that in such a situation, even those electors including casual workers working outside the constituency concerned would be entitled to the benefit of a paid holiday extended under Section 135B(1) of the Representation of the People Act, 1951.